The derivative meaning of the word “Jayanti” in Bengali is, an occasion to acclaim and praise, linguistically speaking. But the word really means a Jubilee, celebration of certain anniversaries. More often it means celebration of birthdays of famous persons, usually dead than alive. In our case, the dates of these anniversaries could be an amalgam of many calendars. Saints and spiritual gurus are observed according to lunar calendar; Sri Ramakrishna is celebrated on the second day of the new moon on the eleventh month (Falgun) of the Bengali era. 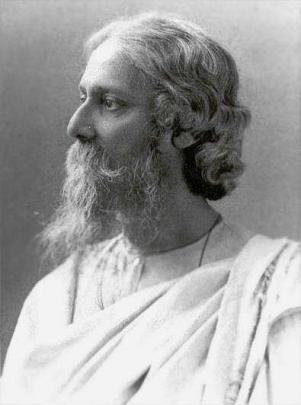 Poets and littérateurs have their assigned days in accordance with the dates of Bengali calendar, as in 25th of the first month (Baisakh) of the calendar for the poet Rabindra Nath Thakur and for some, the ones dealing with science, politics, sports etc. as per the Christian calendar; January 23rd for Subhas Chandra Bose, for example. Bengalis worship their heroes. The modality of hero branding has changed somewhat. Now a foreign recognition is deemed necessary for getting up there. There was a dry period after Satyajit Ray till Amartya Sen arrived. Both are internationally recognized. Though Bengalis made Mother Teresa a hero she was not really their kind. Then there was Saurav Ganguly, whose virtual beatification for a period of time seemed destined to make him a candidate for Jayanti of his own. That he is still alive should not be a problem. We have precedents. Biggest of all our Jayantis, one for the poet Tagore had been happening long before he died. Indeed he was an enthusiastic and willing participant. In addition he saw to it that celebrators did not run out of songs and poetries for his anniversaries for longest time to come after he was gone, thousands of them; compare this with only 154 sonnets that Shakespeare wrote. As we like to live in our past, present is dreary and the future is bleak; we need anniversaries, lots of them. The ways of celebrations differ. That was January twenty-third; a taxi traveling in a side street in Calcutta was stopped at the entry by a group of youngsters. In the middle of the street a portrait of Bose was installed in a makeshift platform, duly garlanded. They objected to the taxi proceeding. The passenger reasoned that this was the only way the taxi could reach its destination, but that pleading fell in deaf ears. He was accused of being unpatriotic. The taxi driver got involved but he soon came to the conclusion that discretion was better part of valor and promptly retreated when some one threw a stone aiming at the windshield of the taxi causing a small crack, realizing that the violent outburst was probably the way the young fellows in the street intended to uphold Subhas Bose’s valiant legacy of armed resistance to the intruders. Saints and gurus have a peaceful way. Their affairs are usually confined in the temple and other places indoor, except for when Bharat Sevasram Sangha and the likes decide to bring out a big procession blaring loud music stopping traffic for hours. But disrupting traffic back in West Bengal is everyone’s revolutionary right. Almost everyday can be called an anniversary of some sort. Poets and writers, especially ones with songs to their credit usually do better, because their anniversaries have a monetary potential as it can attract a fare paying crowd of aficionados of their songs and poetries performed by celebrity artists and movie stars. Closer to home, here in New Jersey we love our Jayantis too, as long as it has a cover of culture. We consider only the poets and writers for the honor. On a recent evening, there were three portraits, somewhat worn out from many years of use, two of them were instantly recognizable; the third though a familiar name, the face still remained a little unknown to the crowd who gathered there. Anyway, the display of three pictures was all we needed for their Jayanti celebrations. What followed had nothing to do with the subject poets and their contribution to the Bengali literature. They are dead anyway, who will care how they feel. Turning in the grave does not pose a threat of any consequence. One of the organizers made an announcement that the Jayanti celebration was the major annual cultural program of the club. Demonstration that followed the announcement did not appear to promise a very bright future for the state of Bengali culture or for that matter, even for the three Kobis adorning the arena. The poor Kobis could not even get up on the stage, their pictures looking forlorn were planted below the main podium while some variation of go as you like was going on, up on the stage. There is plenty supply of Kobis in Bengali. There is no reason that we have to have Jayanti for same three of them year after year after year. Could it be because we have no other framed portraits available readily? But we can act as Romans while in Rome. . Here in America we have a day earmarked for President George Washington but it really is a Presidents’ Day for all 40 dead presidents. It is closer to the first president’s birthday in February, that’s all. In the same vein we can have a Kobi day for all the dead Kobis. Assigning a day closer to the most famous of them will be fitting. We can do away with the three faded pictures and celebrate Jayanti for all of them. As they are too many in number, we will not be expected to sing and dance for any particular one. We will celebrate our culture in whatever shape and form we want. That will be liberating. This entry was posted in Generic and tagged amalgam, amitava, beatification, bengali calendar, christian calendar, dry period, famous persons, ganguly, jayanti, jubilee celebration, longest time, lunar calendar, meaning of the word, new moon, poetries, spiritual gurus, sri ramakrishna, subhas chandra bose, thakur, willing participant by sudipta. Bookmark the permalink. Very well written…just couldn’t get who are the three Kobis you are referring to but nevertheless nice point to raise.